The Universal Declaration of Human Rights asserts that “all people are born equal in dignity and rights”. Sadly, this statement doesn’t reflect billions of people’s daily lives. Health is one of the areas in which many – if not most – people have no real rights. Social determinants of health, as defined by the World Health Organisation, are “the conditions in which people are born, grow, work, live and age, and the wider set of forces and systems shaping the conditions of daily life”. These systems and forces include economic policies and systems, development agendas, social norms and policies, and political systems. It’s clear, then, that social determinants can negatively affect health. The poor are denied basic needs that would keep them healthy: access to good quality food, shelter, clean water, sanitation and proper clothing. They have limited access to medical care, education and finance. All of these drive health inequity – systematic disparities in health between social groups who have different levels of underlying social advantage or disadvantage. Africa’s young scientists know that health inequity poses a major obstacle to improving population health and well-being. That’s why representatives from some of the continent’s Young Academies of Science met in Johannesburg in early November 2016 to discuss the issue. The young academies represented at the meeting were from Nigeria, Uganda, Ethiopia, South Africa, Kenya, Senegal and Zimbabwe. We discussed a number of problems that cause health inequity in Africa. Then we collectively drew up some solutions. The full statement has been made available online, but here we’d like to focus on two issues: data limitations and an inability to scale up health innovations. If these can be systematically addressed, we believe that the continent will take great strides towards keeping its populations healthy. Africa has a data problem. This is true in many sectors. When it comes to health there’s both a lack of basic population data about disease and an absence of information about what impact, if any, interventions involving social determinants of health – housing, nutrition and the like – are having. Simply put, researchers often don’t know who is sick or what people are being exposed to that, if addressed, could prevent disease and improve health. 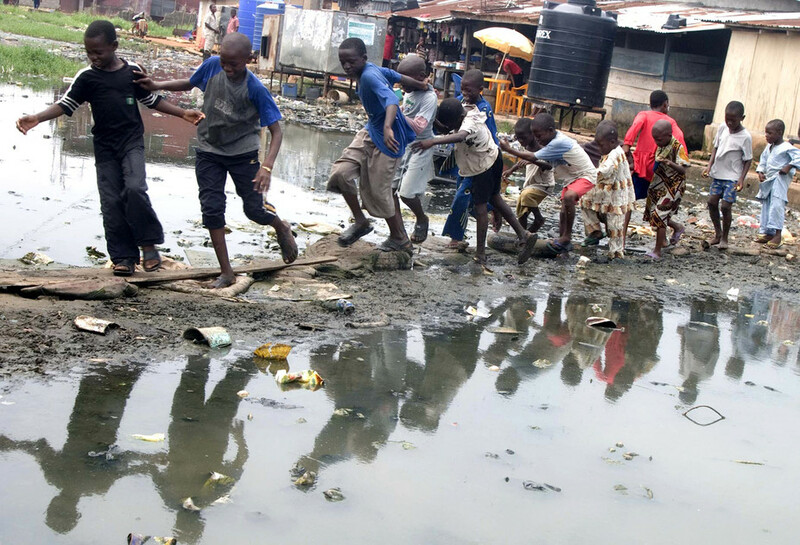 They cannot say if poor sanitation is the biggest culprit, or if substandard housing in a particular region is to blame. They don’t have the data that explains which populations are most vulnerable. These data are required to inform development of innovative interventions that apply a “Health in All Policies” approach to address social determinants of health and improve health equity. To address this, health data need to be integrated with social determinant data about areas like food, housing, and physical activity or mobility. Even where population data are available, they are not always reliable. There’s often an issue of compatability: different sectors collect different kinds of information using varying methodologies. Different sectors also use different indicators to collect information on the same social determinant of health. This makes data integration challenging. Without clear, focused, reliable data it’s difficult to understand what a society’s problems are and what specific solutions – which may lie outside the health sector – might be suitable for that unique context. Some remarkable work is being done to tackle Africa’s health problems. This ranges from technological innovations to harnessing indigenous knowledge for change. Both approaches are vital. But it’s hard for these to be scaled up either in terms of numbers or reach. This boils down to a lack of funding or a lack of access to funding. Too many potentially excellent projects remain stuck at the pilot phase, which has limited value for ordinary people. We emerged from our meeting with a number of recommendations. Governments, researchers, universities and research institutions and science academies will need to work together to implement these. Governments need to develop health equity surveillance systems to overcome the current lack of data. It’s also crucial that governments integrate and monitor health and social determinants of health indicators in one central system. This would provide a better understanding of health inequity in a given context. For this to happen, governments must work with public and private sector stakeholders and nongovernmental organisations – not just in health, but beyond it so that social determinants of health can be better measured and captured. The data that already exists at sub-national, national, regional and continental level mustn’t just be brushed aside. It should be archived and digitised so that it isn’t lost. Researchers have a role to play here. They have to harmonise and be innovative in the methodologies they use for data collection. If researchers can work together across the breadth of sectors and disciplines that influence health, important information won’t slip through the cracks. When it comes to scaling up innovation, governments need to step up to the plate. It’s crucial that they support successful health innovations, whether these are rooted in indigenous knowledge or are new technologies. And since – as we’ve already shown – health issues aren’t the exclusive preserve of the health sector, governments should look to different sectors and innovative partnerships to generate support and funding. A single thread runs through these recommendations: the notion of shared learning across Africa. As young researchers from a range of disciplines and countries, we have learned first hand through our own work and our academies that collaboration is crucial. That’s why another of our recommendations is that research institutions in Africa should produce and share documents that outline their best practices and their mistakes. Others can then learn from the good and avoid the bad. In this way, experts on the continent can learn from each other – and find common approaches to improving millions of people’s daily lives and health. *This article first appeared on The Conversation. Read original article here. Pick courtesy of George Esiri/Reuters.